At Cox International, our focus is not just on the technical aspects of recording, but on the importance of the right “Marriage” among the Artist, the Songs and the Producer. From the Beatles and Sir George Martin - to Quincy Jones and Michael Jackson, the music industry’s most successful Hit Singles and Albums have usually been the result of a great working relationship and creative collaboration between the Artist and the Producer. If you or your band is interested in hiring us to produce your CD, please go to our Contact section and fill out a Production Services Inquiry Submission Form. We reserve the right to select which clients with whom we will work. Those are ONLY clients who we believe have the talent, age, looks and commercial appeal to have a legitimate shot at success. After submitting your form, please give us one to two weeks for a response. We will only contact you (or your band) if we feel you have commercial potential. • We will custom write, world-class songs, produce & personally shop your CD & artist package (CD, lyric sheets, bio & photo) to our extensive A&R record label contacts. We put our reputation and credibility on the line when we bring your project to our industry contacts. We will complement and develop your artistry through our writing and productions. And while we cannot guarantee you or anyone a recording contract, we will work hard for you to open doors of opportunity. The rest is up to you. • Exclusivity: CI grants each Artist performing its songs up to 12 months exclusive time to release recordings via a major record label or approved Indie label. • Income Sharing: If CI places Artist’s recordings of its songs in any commercial, TV show and/or film, CI will pay the Artist 15% of all sync license income unto perpetuity. 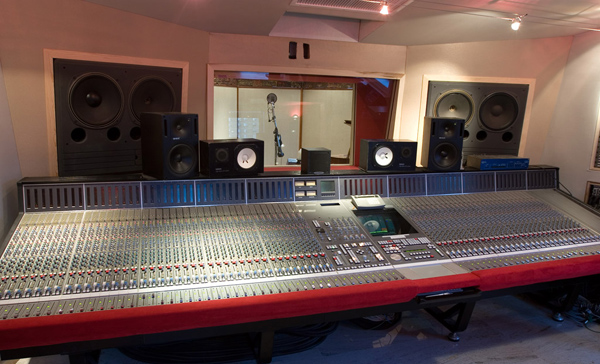 To book a studio session now, click here. What Does a Music or Record Producer Do? 2. The Producer interfaces with the Artist or Band or independently arranges the song, deciding appropriate instrumentation, song tempo, and works with the Artist and Recording Engineer to capture the Artist’s strongest vocal performances on tape. Some producers can’t play a note, but have “great ears” for finding hit songs and replicating or purchasing great “demo tracks” from other Producers, Musicians or Writers – for their Artists. 4. The Producer balances the Artist's vision with industry standards and the Label’s A&R and Marketing staffs' expectations. With the Artist’s Manager and Label, the RIGHT Producer is invaluable in initiating and developing an Artist’s career. We have worked with record labels such as Atlantic, Motown, RCA, Island, Sony, Warners, Interscope, Universal, MCA, Capitol and others. We also were instrumental in writing songs for such artists as Vanessa Williams, Stacy Lattisaw, Fire on Blonde, Michele Goulet, the Ritchie Family, Klique and others - in the formative stages of their careers. At CI, we’ll write and produce World-Class music for you and give you every advantage of our extensive contacts and successes.